So… are there shortcuts to success? Right in the first paragraph of the first chapter (Get Going) the author promised us success in 28 days if we follow his program. I was skeptical about the title, but that very first paragraph made me continue reading. Now after going through Macken’s 28-day success course, I would like to share with you the results I got. This book is basically a 28-day program designed to make you aware of what it takes to be successful, and to instill good habits – the ones that successful people have – in you. Each day there is a topic to read, and there are tasks (or homework!) that you have to do. You would need to spend an hour or two each day to read the topic and finish the tasks. Your first task is to go to bed and wake up 30 minutes earlier than usual. This task is gradually expanded to getting up 90 minutes earlier. You are sleeping for the same number of hours, but men like Aristotle and Benjamin Franklin believed that waking up early leads to better health, wealth and wisdom. I did some research and found that it’s not proven science, but several studies have correlated waking up early to being more proactive and optimistic, better sleep, better grades, basically more success. Some benefits are more obvious, like less congested roads and reaching the office earlier, thus having some uninterrupted time to focus. Also, each day you will have a different topic to read. Just to give you an example of what you will be reading about, the second chapter (Success) redefines what success actually means. Some of the topics are too brief for me to gain much insight, so it is doing the exercises where this book adds value. You may download the book for free at www.free-ebooks.net. 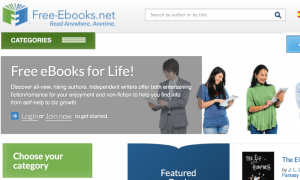 All you have to do is register for a Standard account, which gives you 5 free e-book downloads per month. Then just use the search function to find the book and download it. As a conclusion I’d say that reading this book would not turn you into a multi-millionaire in one month. Following the program, however, would instill good habits (the ones most successful people have) in you. It only takes you an hour or two each day to read the topic and do the exercises, and I would recommend this book as a good starting point to BIG success. P.S. This book is a great starting point for instilling habits that are going to lead you down the path of success. To build on this, the next step would be to find yourself a personal ‘miracles’ coach, who can take your hand and guide you, step-by-step to BIG success. If you are interested to do this, you can check out my review of Bob Proctor’s Six Minutes to Success program. I hope you’ve enjoyed this review (please share if you do! ), and as always if you have any questions or comments just leave them below and I’ll get back to you as soon as I can. See you around! I really enjoyed browsing your site. It has so much to offer and read. I am bookmarking your site so I can come back and check it out again. Keep up the good work. Thanks, Kevin. Don’t forget to download the book! Great post… Thank you for sharing! It gave me motivation! Great information we can all use. Clear and easy to follow. I will be downloading 28 days to success – could use the guidance and looking forward to being more motivated! Thanks, Kat (Can I call you Kat?). Really hope this book adds something to your life like it did for me :). Thanks so much for the support! Unfortunately I’m pretty new to all this, so I’ve not yet learned how to let visitors subscribe. But you will definitely be the first person I contact once I do :).